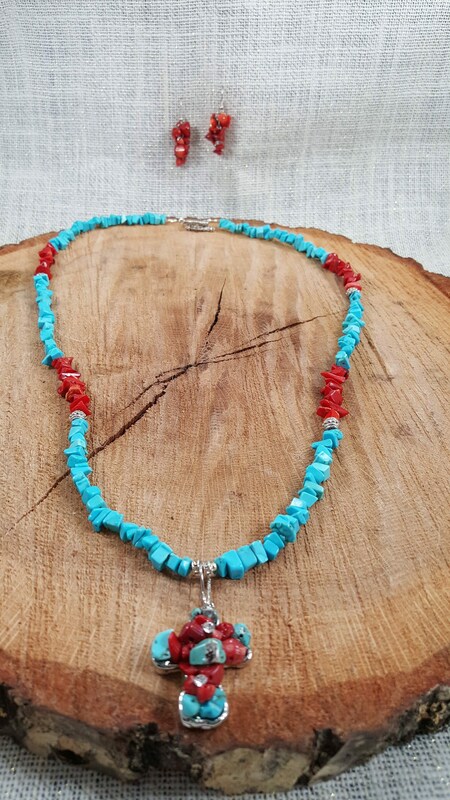 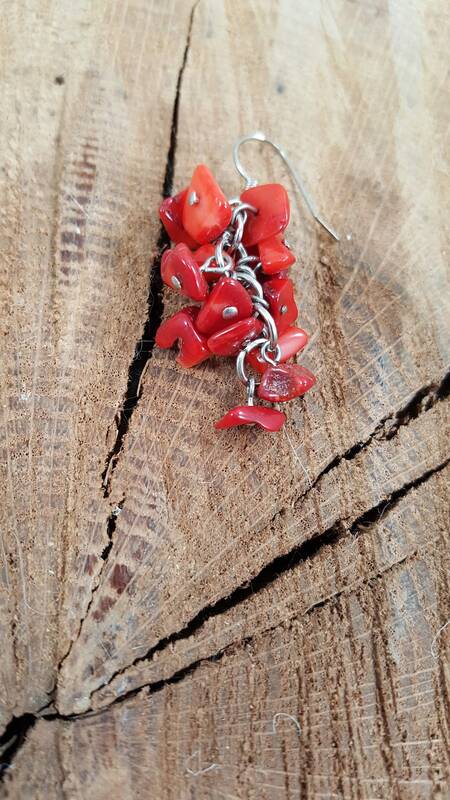 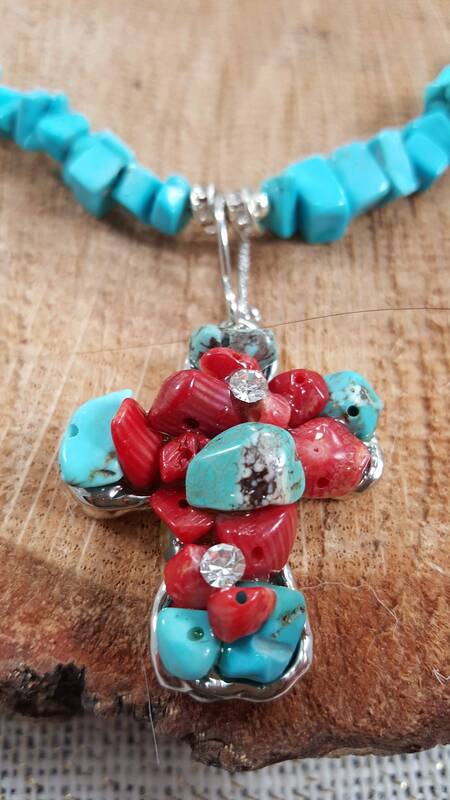 Turquoise red and blue gems with a 1.5 cross with turquoise gems and 2 red turquoise gems fish hook earrings. 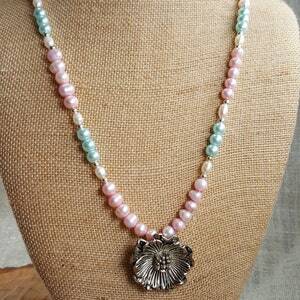 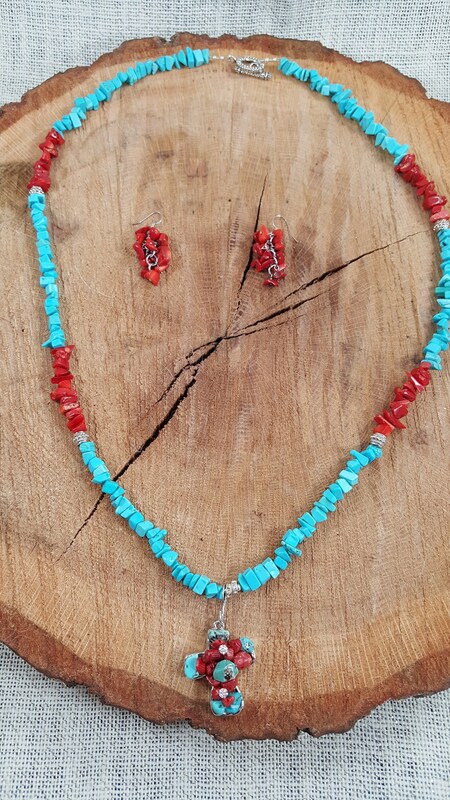 Necklace is 30 long. 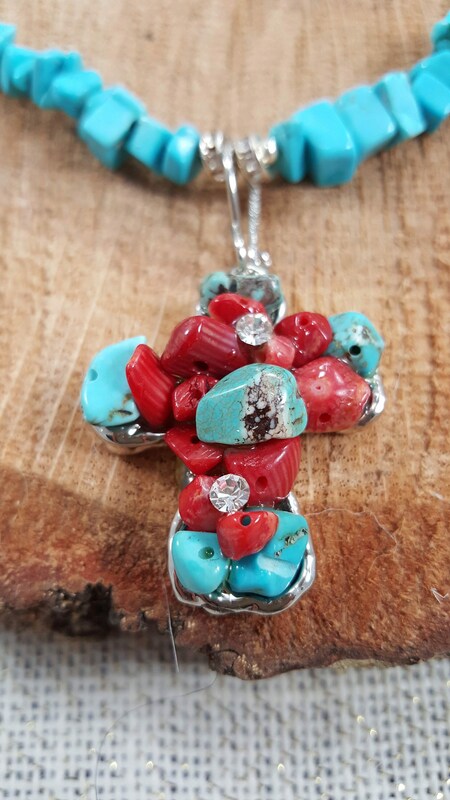 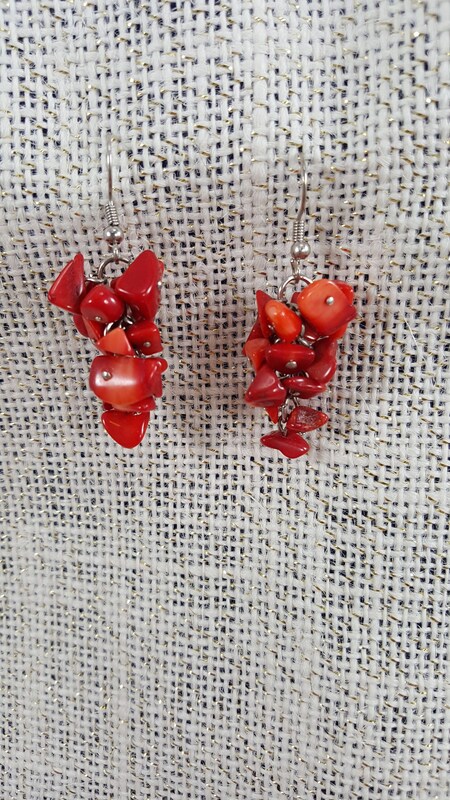 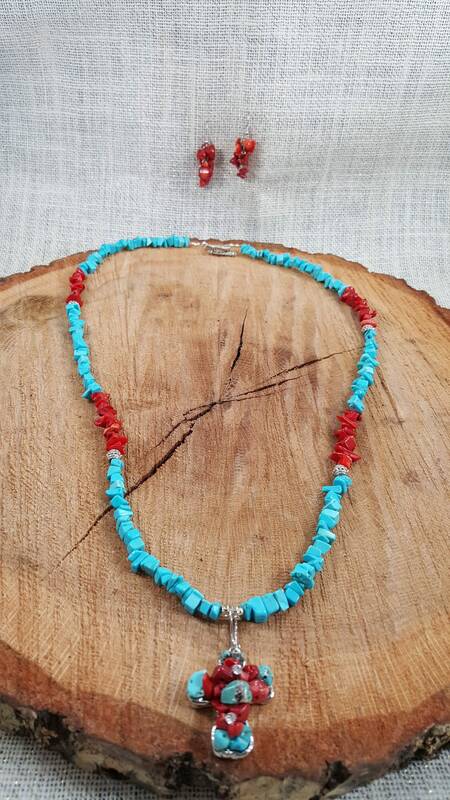 Turquoise red and blue gems with a 1.5 " cross with turquoise gems and 2" red turquoise gems fish hook earrings. 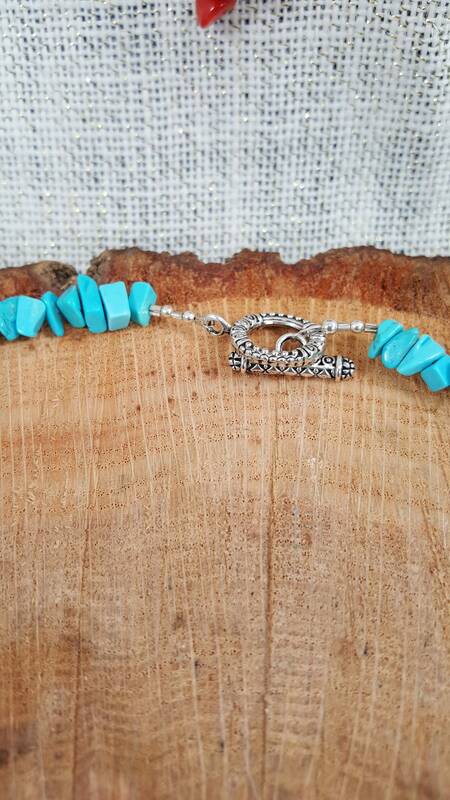 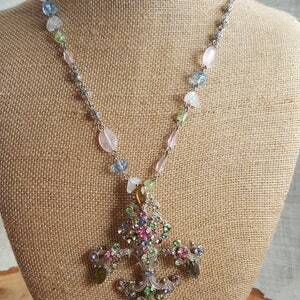 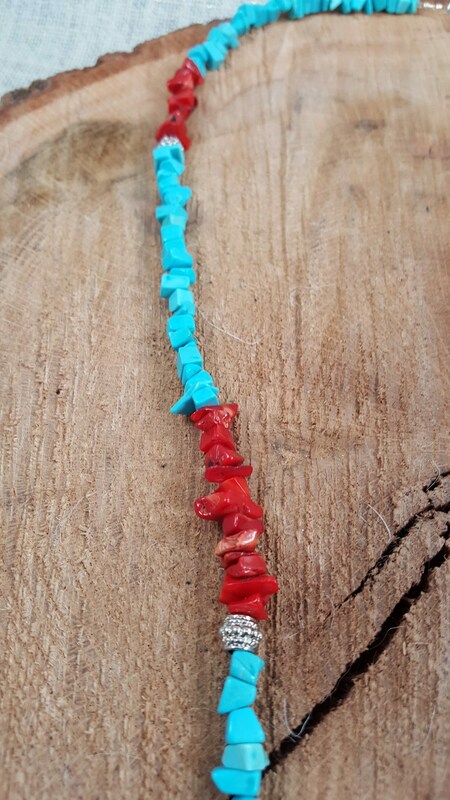 Necklace is 30" long. 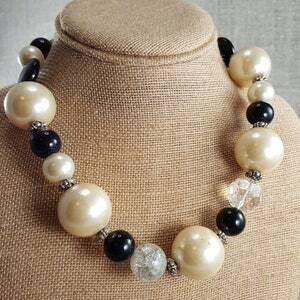 Large red pearls with black crystals and sliver bead 17" necklace.